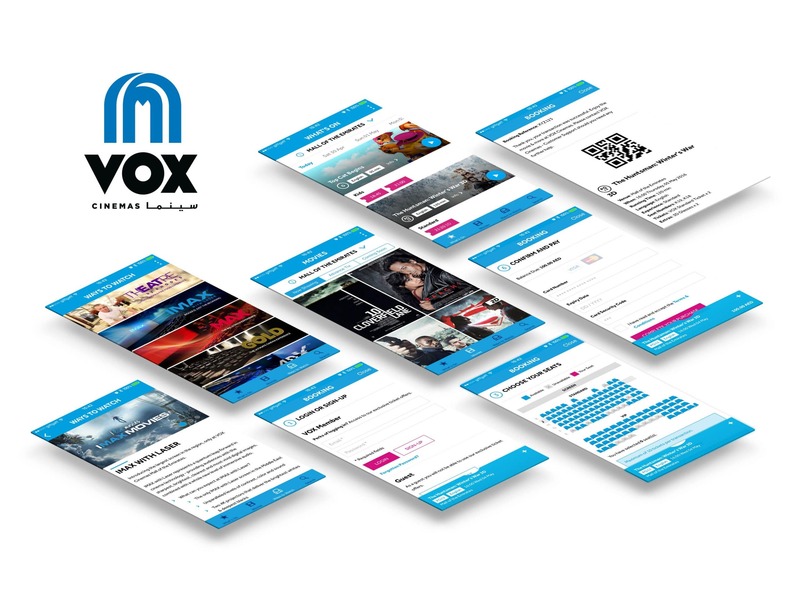 In May 2016, VOX Cinemas, which is the fastest growing cinema chain in the Middle East and holds the highest market share across the United Arab Emirates, Oman and Lebanon and expanding into Bahrain, Qatar, Kuwait and Egypt relaunched its eagerly awaited update to the iOS app. With such a wide geographical reach and with the various complexities of an emerging region for e-commerce, VOX enlisted the services of the Can factory to rebuild their iOS app with the brief to create something that was ‘Simple & Amazing’ which is VOX’s ethos for their digital platforms. VOX was the first in the region to launch an iOS app however there was still a lot of opportunity to improve reliability, navigation and flexibility. The new universal iOS app is a complete rebuild of the existing app. Initially developed in Swift 2, the app was updated to Swift 3 for the launch of iOS 10. The app is underpinned by a new platform developed by Can Factory that integrates seamlessly with VOX Cinema’s back office systems, including multiple local payment providers. Developed by Can Factory and designed in collaboration with VOX, the rebuild involved a complete UI refresh to align with VOX’s recent rebrand. 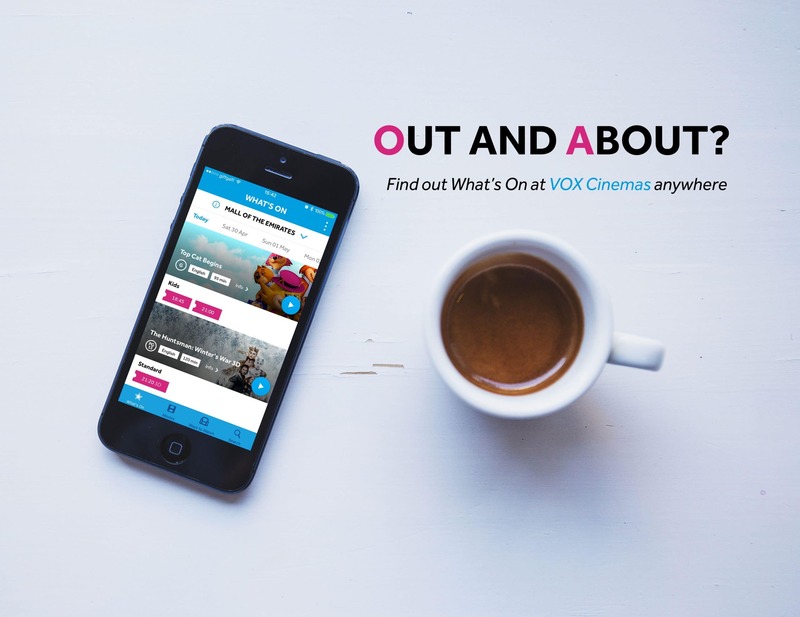 The VOX Cinemas application provides cinema-goers with quick and easy access to film content. Film-fans can use the iPhone app to locate their nearest VOX cinema and access detailed information including: facilities, contact details, maps, directions, and screening times. In addition, the application provides access to film trailers and details of upcoming releases. Users can also select their ‘Favourite’ cinemas for easier access to their local listings. A central objective for VOX was to ensure that a streamlined process was implemented to purchase tickets directly from all VOX’s cinema locations. This was achieved through a process that involved extensive competitor analysis and end-user testing. Can Factory’s use of an iterative development process allowed VOX to incorporate multiple rounds of user driven improvements and refinements prior to the initial launch. The Can Factory platform is integrated directly with VOX’s online ticketing platform – provided by Vista Entertainment Solutions. Direct integration with VOX’s back office systems ensures that VOX’s customers benefit from access to real-time showtime information, seat maps, ticket allocation, concession sales, and booking during key peak traffic periods. A central objective for VOX was to deliver an underlying application and architecture that sustained the high level of scalability required during traffic surges. Can Factory worked with VOX’s internal IT team to define a highly scalable cloudbased solution that could reliably sustain those traffic peaks. In preparation for VOX’s planned expansion into new territories, the iOS app already supports multiple territories including UAE, Lebanon and Oman. The app has been integrated with country specific online payment and banking platforms to ensure the most seamless and secure journey is available for customers in each region. The VOX Cinemas iPhone Application is available to download free of charge from the iTunes Store. A-Z of cinemas and find your nearest cinemas. View show-times for a cinema. Securely book your tickets on the VOX Cinemas website directly through the app. View top films, films now showing and coming soon. Search for films and cinemas. View maps and directions to cinemas. Call the VOX Cinemas dedicated telephone booking line. For more information and an opportunity to provide feedback or report issues please visit the VOX Cinemas website.